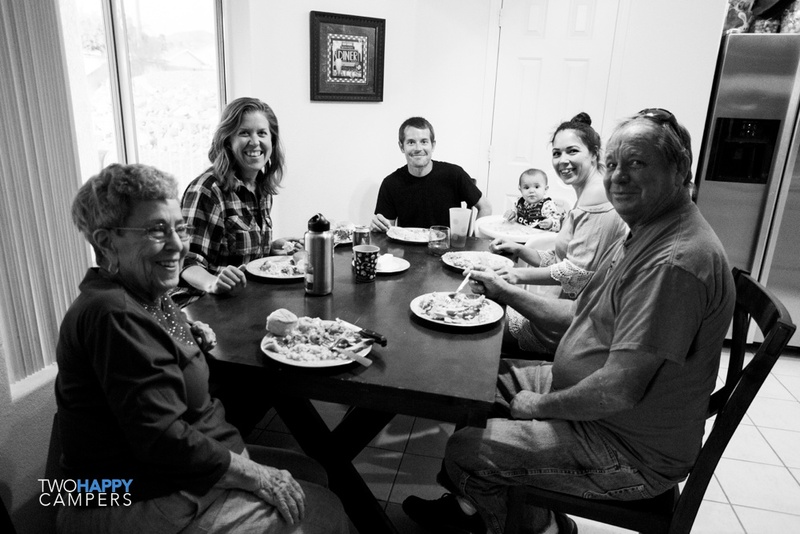 We had a full plate when we arrived in Lake Havasu City (my hometown) this year. 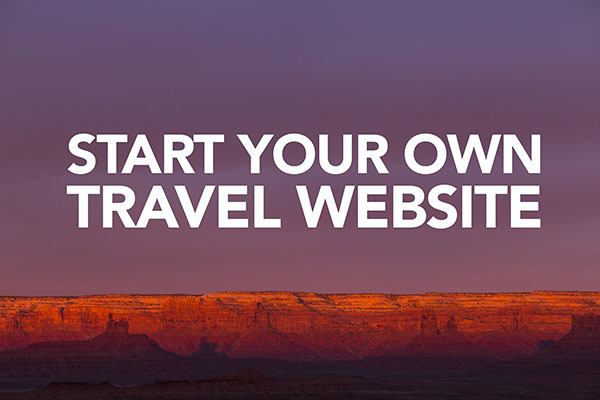 As any full-time RVer knows, when you have access to a place to do projects and receive packages, you take full advantage. And that’s exactly what we did from the moment we arrived. Thanks to the generosity of my dad, we were able to park at his equipment yard and work away. Living in an industrial area may not be glamorous but the upside is that you can make all the noise you want all hours of the day. 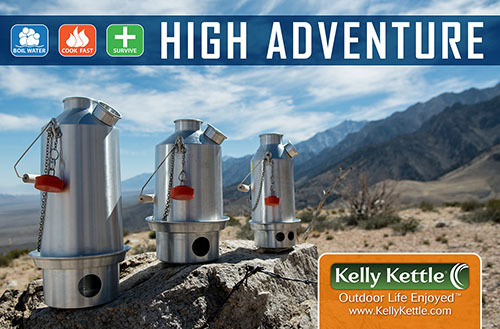 Power tools, compressors, saws, welders…these things are not exactly welcome at campgrounds. 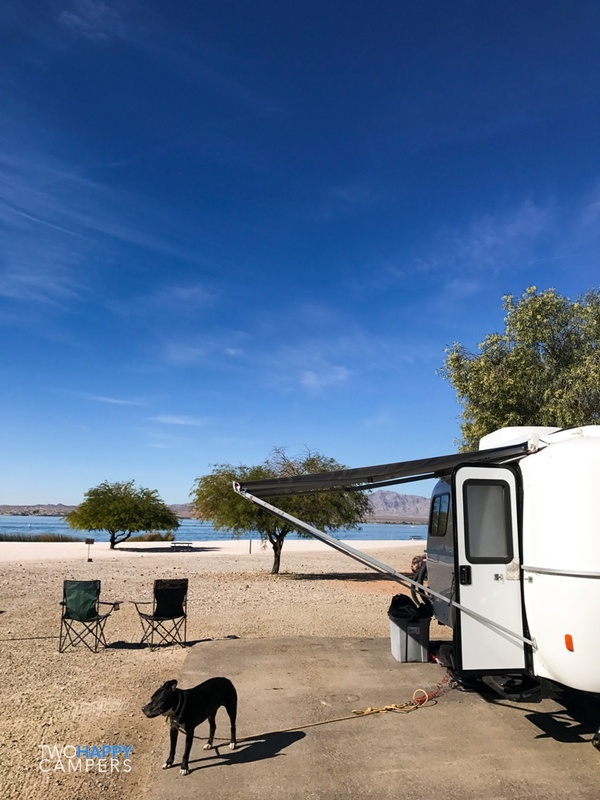 So this stop was exactly what Mark needed to get the Casita trailer all outfitted for our new full-time life on the road. 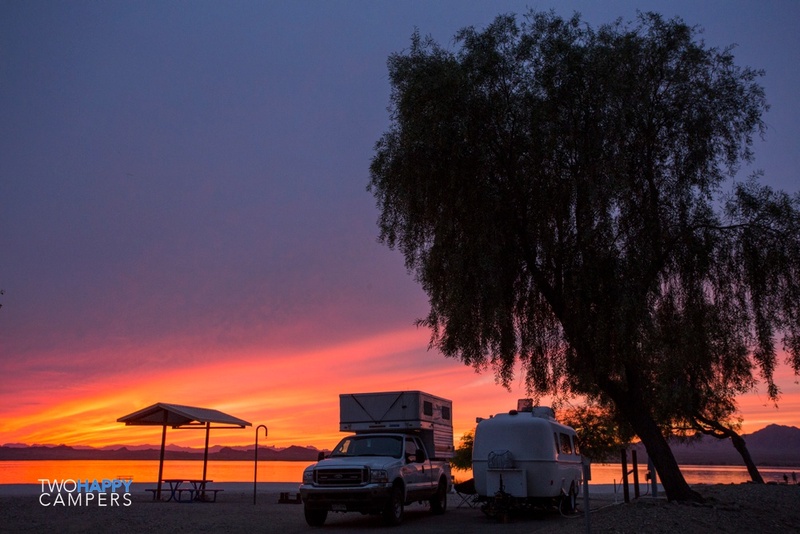 But it wasn’t all work, we balanced out the month with two weeks at Lake Havasu State Park, one of my all-time favorite campgrounds. The lake-front sites can’t be beat and there is no place I’d rather spend time with family and friends than around a campfire. 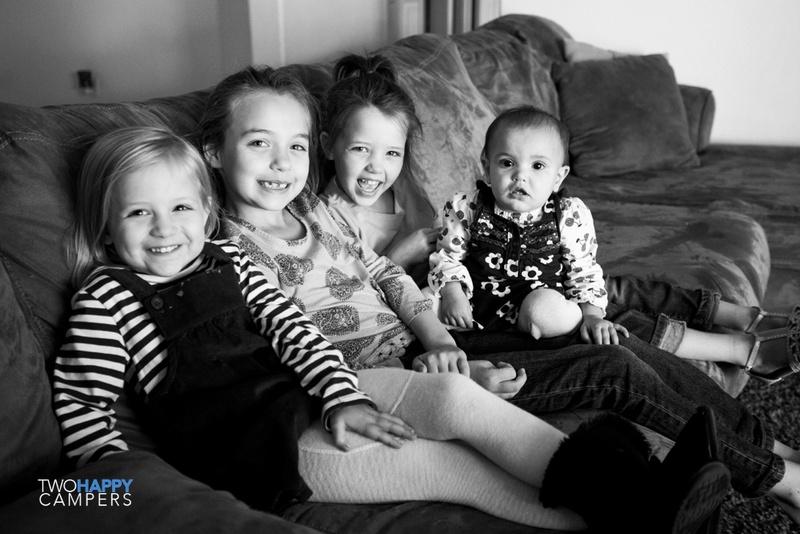 That combined with family dinners and many stops at all our favorite restaurants around town made for a fun-filled, incredibly productive month. Added a propane cabinet to house the propane tanks on the Casita. The top of the cabinet includes a lock-down kit for our generator. Removed the decals from the Casita. Installed two golf cart batteries in the Casita. Installed a new converter/charger in the Casita. Installed two new golf cart batteries in our Four Wheel Camper. 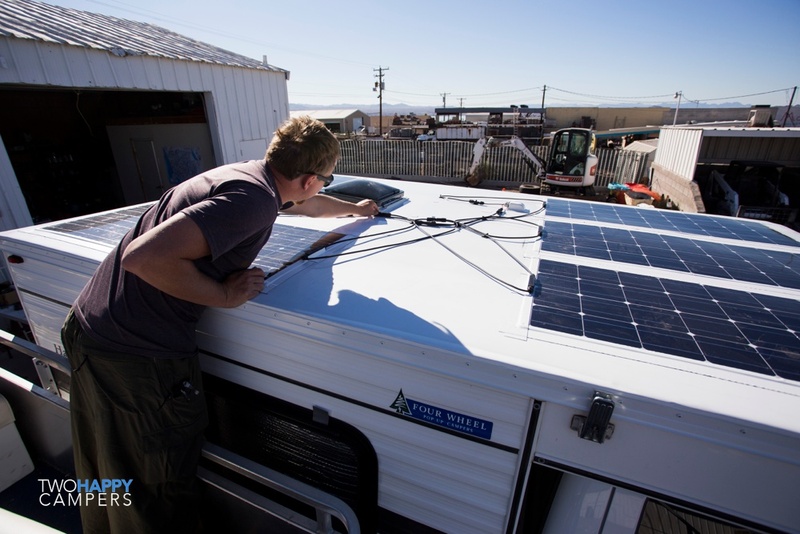 Installed five flexible solar panels on the top of the Four Wheel Camper. Built a cargo box/bike carrier off the rear of the Casita. And a dozen or more other little projects. Removing the decals was not on the to-do list but I’m so glad we did it! It was also a much easier project than I thought it was going to be. Our new propane cabinet with generator and gas can stowed on top and portable solar panel slid in behind. 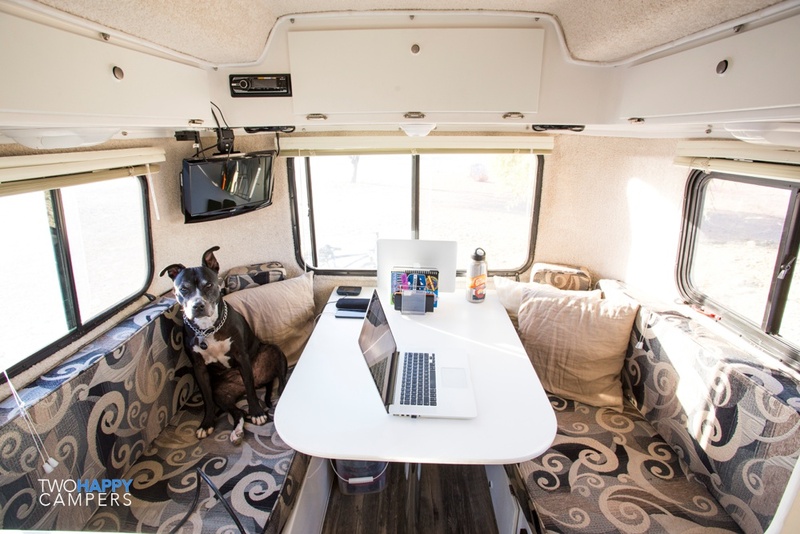 While Mark worked on outfitting our travels, I hung out in my new office working on business projects. Well that’s all for our time in Havasu! 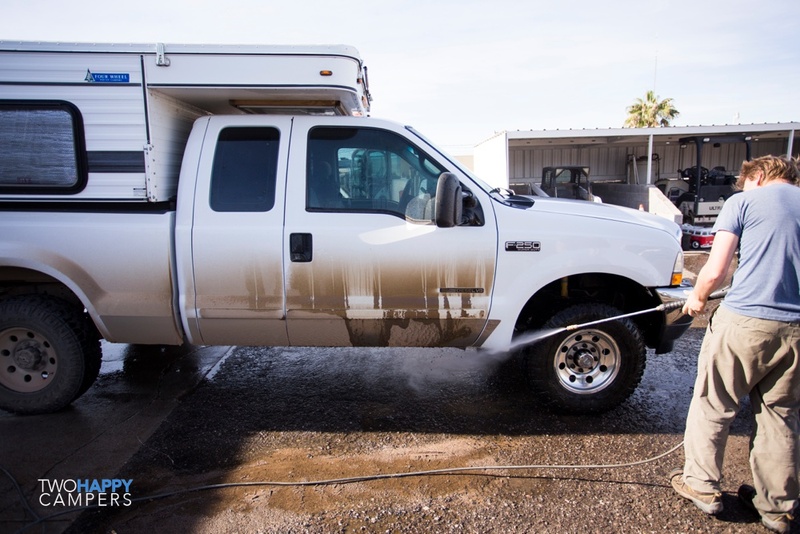 We’re now out in the Arizona desert putting our new power setup to the test! A huge thanks to The Derbs for the hospitality! 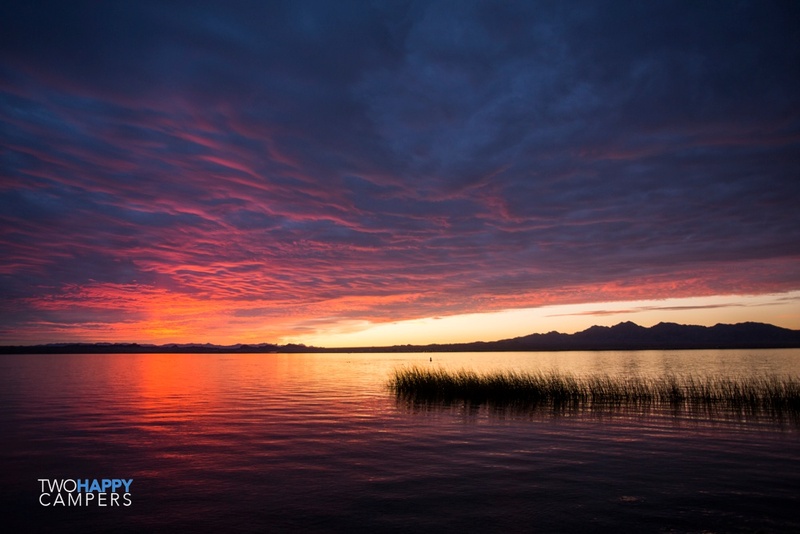 It was pretty awesome to pull out of Havasu having accomplished everything that we did. Looks great! What brand are the flexible solar panels? Mark got the Solar Cynergy panels from Solar Blvd. Here’s a link to the exact panel. The Casita looks much better without the decals 😀. Can you also charge the batteries in the Casita with the new panels on the 4wc? Thanks for the post! Yeah, removing the decals made a bigger difference than I’d expected! We have three portable panels that are charging the batteries in the Casita. So far it’s all working great! 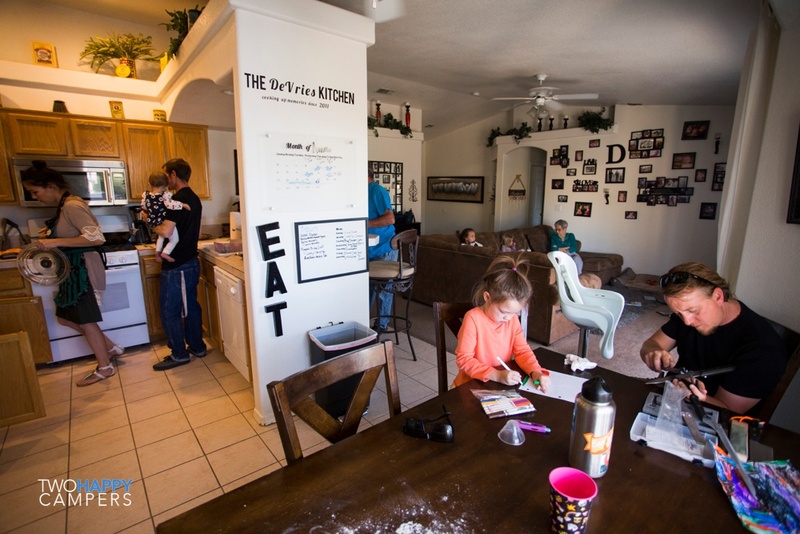 Hi again … love the upgrades and am seeing how great the Casita seems to be for you. Great combiation. Wishing you both the Greatest for the NEW YEAR and keep us up to date for sure. Minus 1 as I write this from bright sunny COLD Maine. Brrr! You just made me very happy to be in the desert. Stay warm up there! 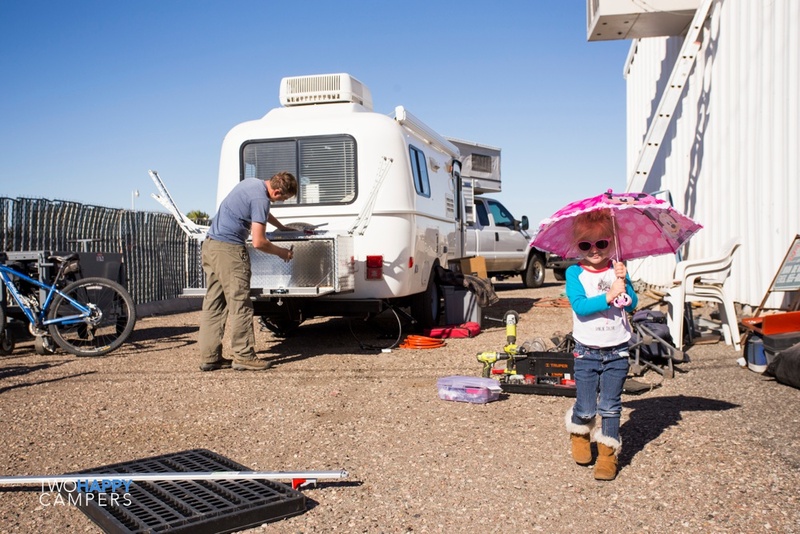 Looks like you two are doing really well and preparing for being even more independent and able to extend those opportunities for boondocking. I wish I would have removed my own decals, soon after delivery of my camper, too. I certainly like the way your new travel trailer looks without the decals. With the battery bank I would caution putting any ignition opportunities in an area where there is off gassing of explosive gasses, such as in your FWC batteries. Heavy use of batteries, which I suspect will happen with only two batteries, create off gassing. 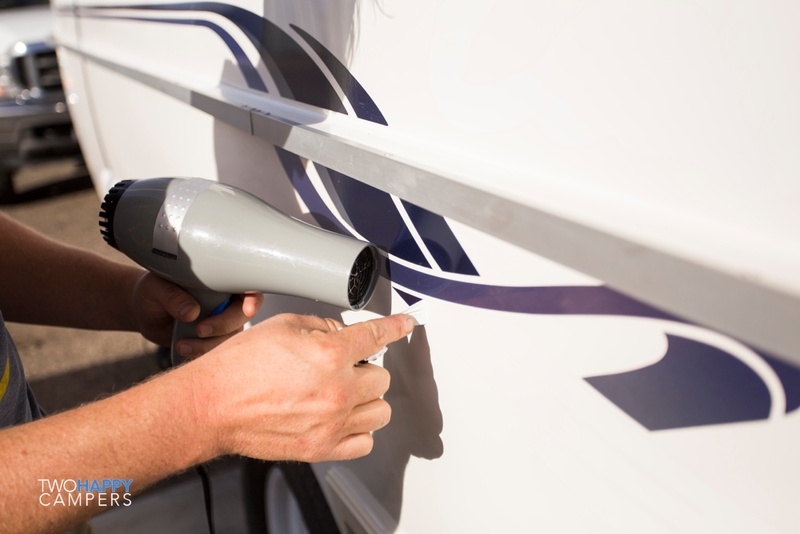 As well as corrosive gases coating surrounding surfaces, like your invertor or any metals. Venting is very important and should be considered, to the outside. 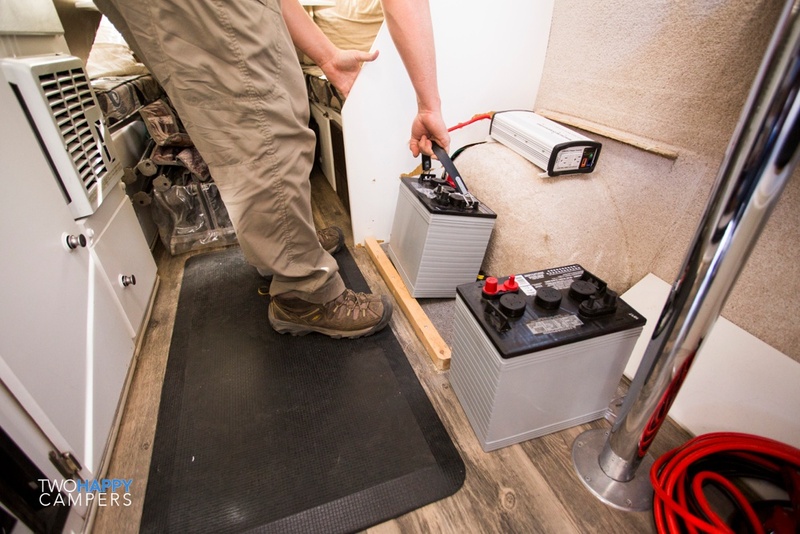 By encasing the batteries in a battery container, sealing and then venting outside would be a safe way to use these as well as for you two inside your camper. Switching to AGM Batteries would be a solution. With heavy use, be sure to check your water level in your batteries at least once a month. It was great seeing you upgraded the gauge of your cables. Most do not do this and lose important Amps to bridge the batteries and to your inverter, will allowing it to run more efficiently. Catastrophic fuses are recommended, as well for at the invertor and at the lead from your Charge Controller. Thanks so much for all the great tips Bryan! 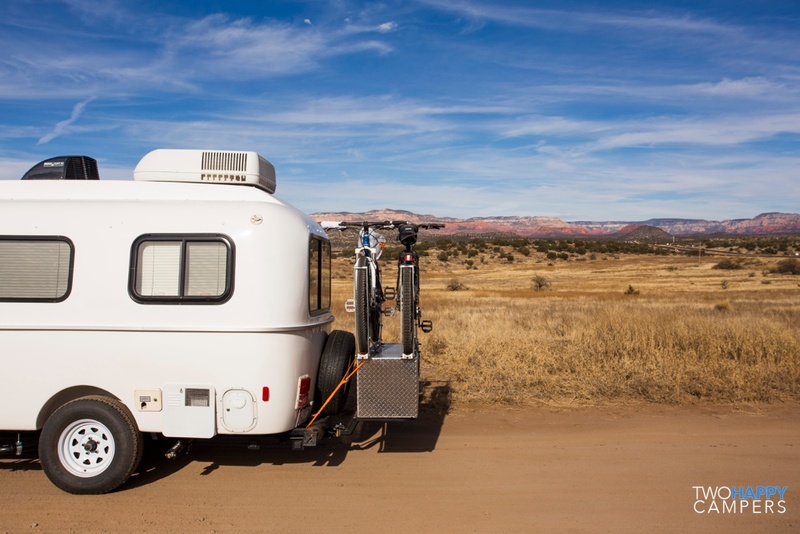 Mark did choose to go with AGM batteries for both the trailer and truck camper. We look forward to reading your article. Thanks for the link! 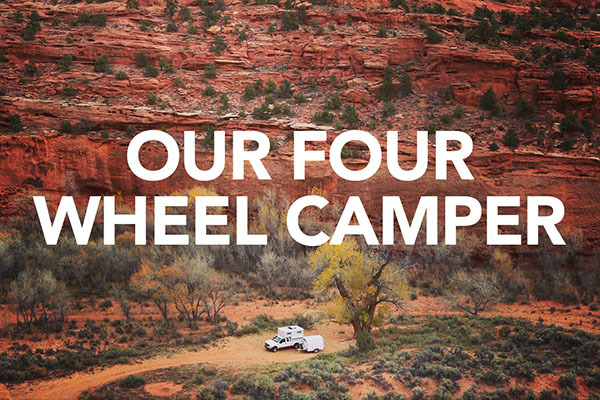 I found your blog while searching for info about Four Wheel Campers. You folks are a wonderful source of inspiration! I’m going to purchase a Fleet model in a few months and mount it on a Toyota Tacoma. Should I get the 160 watt panel installed by Four Wheel or should I get 2 or 3 flexible panels and mount them myself? I like how you store the solar panel over the cab and under the bunk. Is it permanently wired in on a cord or do you set it up then plug it in? I’m curious and a bit confused about how and when you use it. When you driving the truck does the alternator charge the batteries in the camper? Bill, Thanks for your e-mail and kind words! 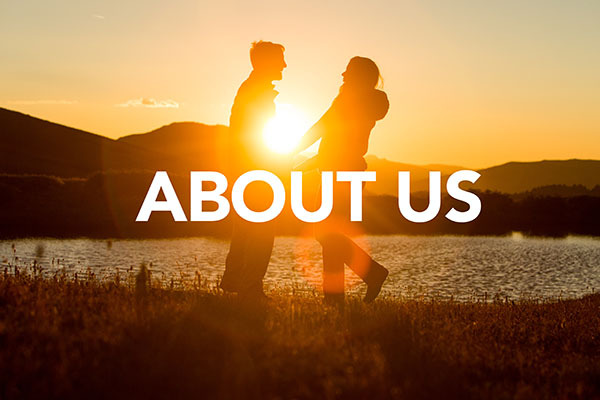 We love sharing our travels and all the things we love about our FWC. 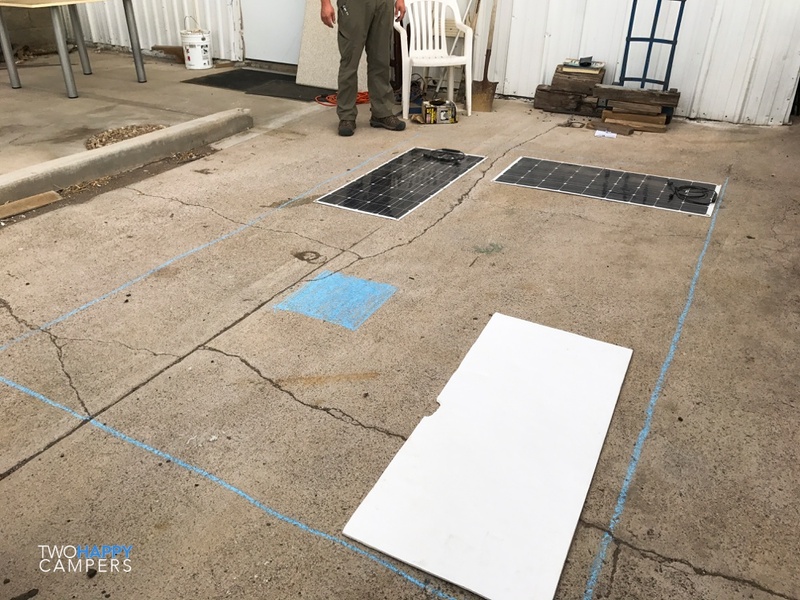 We’re definitely not experts on solar and everyone’s needs are different but there are a few tips we can offer regarding your questions. Given that you’d like to put a Yakima box on your roof, you’d be better off doing portable panels instead of fixed panels on your roof. The shadow of the box will negate the capabilities of your panel unless you park at just the right angle. Because the roof panels are fixed flat they already don’t get the maximum charge, mostly during the winter when the sun is never directly overhead. 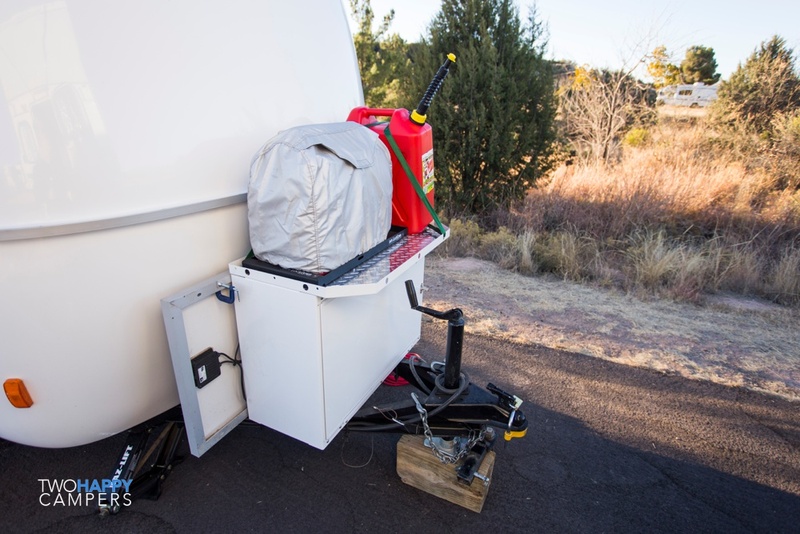 Our panel that stows between the cab and camper is not permanently wired. We set it up and plug it in. 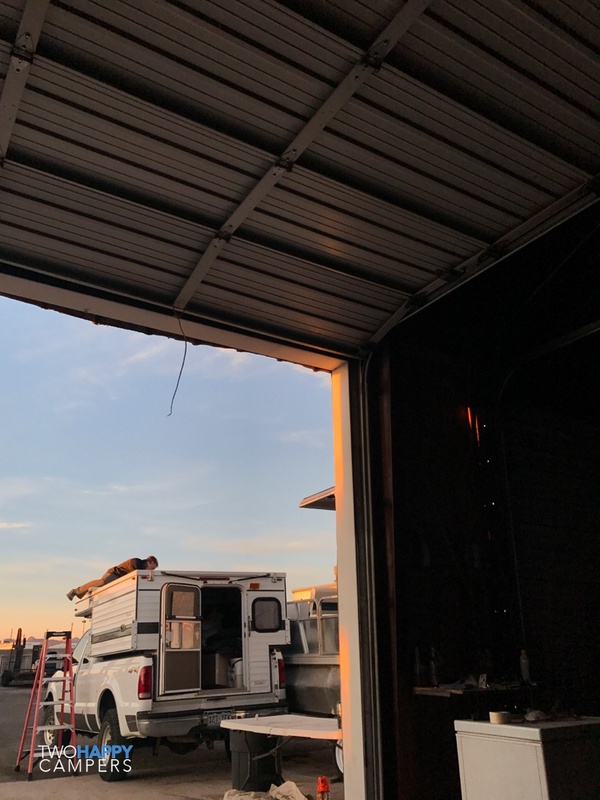 Moving it around with the angle of the sun means we can get much more out of that panel than the fixed panels on the roof (again…this applies more in the winter than summer). A portable panel is also helpful if you’re in a semi-shaded campsite, you can set the portable panel where it will get the most sun exposure. 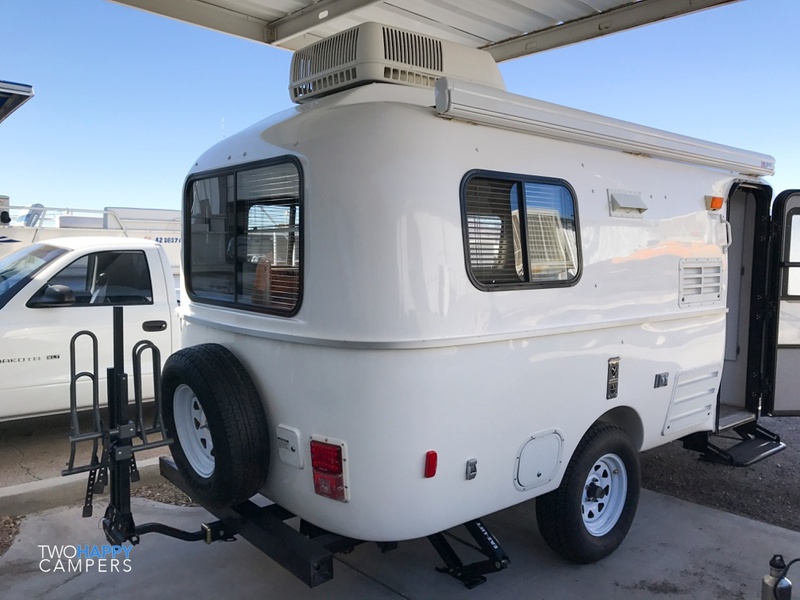 Ask Four Wheel Camper to put plugs for solar on the roof and one at ground level then that part is taken care of and you can decide what your needs are without having to mess with wiring the camper. 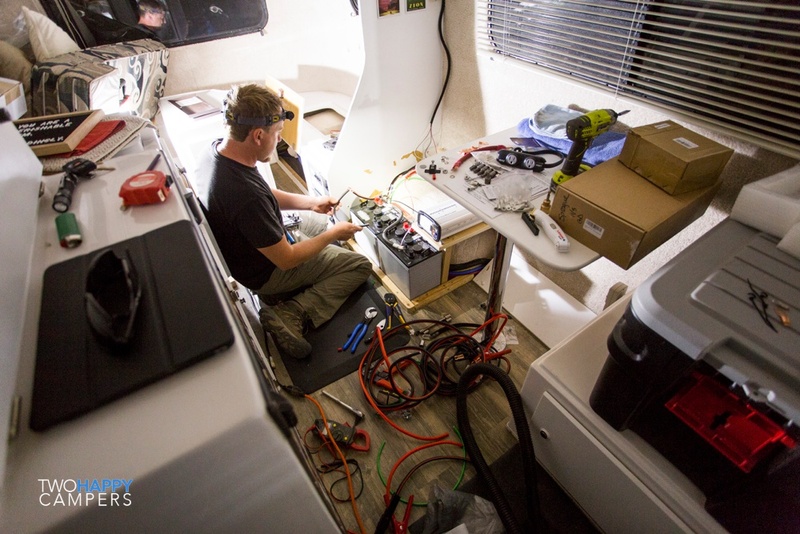 To answer your last question, yes our truck alternator charges the batteries in our camper when we’re driving. Congrats on your upcoming FWC purchase. 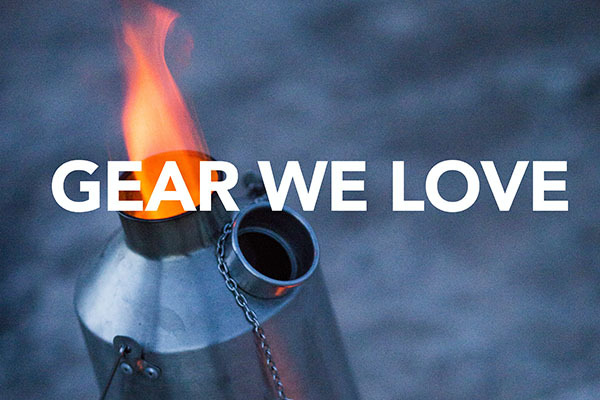 We hope you love yours as much as we love ours!